We're one of Bibra Lake’s most trusted car mechanics helping take the hassle out of your car repairs – no matter how big or small. We fix anything from under-the-bonnet repairs to exterior panel damage. Our workshop has been repairing vehicles for over 20 years, providing fast and reliable service for our customers, seeing most of them back on the road that same day or the next! We can fix any vehicle including Ford, Holden, Honda, Hyundai, Isuzu, Jeep, Kia, Mazda, Mitsubishi, Nissan, Subaru, Suzuki, Toyota, VW, Volvo, BMW and more! Transparency is paramount to our business and we make sure you completely understand the nature of any repairs before we even so much as look at a spanner. Our prices are competitive because we buy quality parts in bulk allowing us to pass those savings on to you. We know what works, where you can save money and when you need to use genuine replacement parts. Need a car to get around? 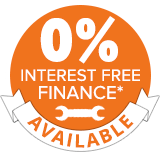 Not a problem, we offer loan cars at no extra cost*. Take piece of mind with all repairs we do and parts we install with our 12-month/20,000km warranty. For all vehicle repairs call (08) 9434 5533 or Get A FREE Quote! Great customer service, such friendly guys and helpful. They checked my battery charge and it was completely flat so they replaced it straight away and installed it with a great affordable price. Thank you for you help!